New Yorkers spend more time commuting than any other US city, an average six hours and 18 minutes over the course of a week. That's almost an hour more per week on the NYC commute than any other city! With a non-negotiable metro system and streets plagued by traffic, finding ways to cut down your NYC commute time can be challenging and expensive. That’s where URB-E comes in. 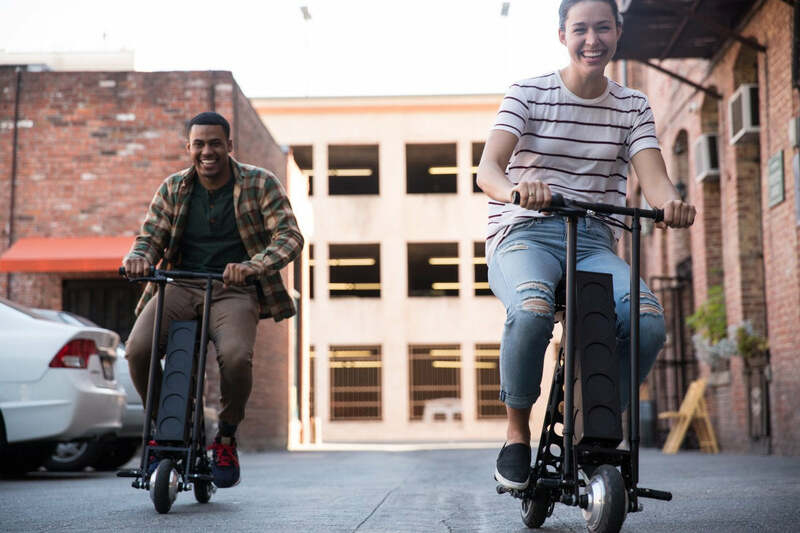 The world’s most compact, foldable electric vehicle, URB-E is versatile and powerful enough to help even New Yorkers shave minutes and dollars off their commutes. New York City has a higher percentage of residents commuting by public transit than any other city in the nation. We can’t change how fast the subway runs (unfortunately) but we can help you travel the last mile to and from transit hubs faster and more efficiently. Say you live one mile from the nearest subway. Walking that distance can add 20 minutes to your commute, which adds up to 40 extra minutes spent commuting every day. Using URB-E to travel that last mile, however, only takes 4 minutes. 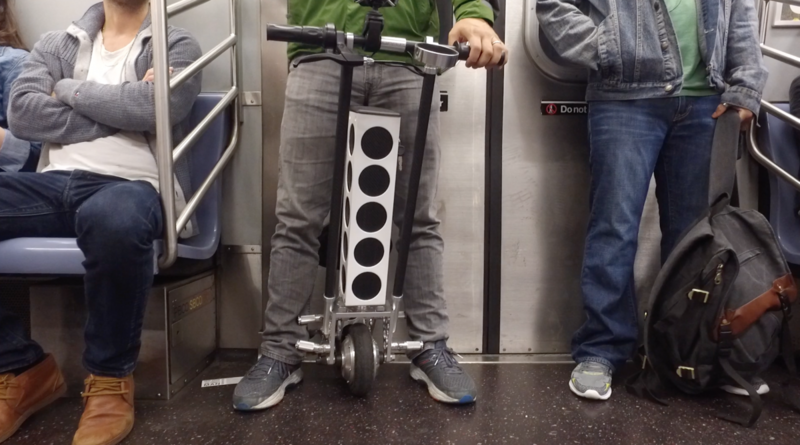 When you get to the subway, fold URB-E up in one quick motion, and hop on board. On URB-E, you can reclaim half an hour every day that you would normally spend commuting. That’s 2.5 hours every week, and 10 hours each month. Think of what you could do with all that time! A bike is an efficient way to get around New York when the weather is nice, but it’s not always the best solution to your NYC commute. Biking can be a sweaty–and unprofessional–way to show up to work, especially in hot summer weather. If the weather takes a turn for the worse, you’re can either leave your bike at work or brave the elements to ride home. There's no versatility! Citibike, New York’s bike share program, is a convenient and relatively affordable choice, but bikes and parking are not always available during rush hour. Riding your own bike in New York means finding bike parking and risking theft on a daily basis. How does URB-E solve these problems? Riding URB-E doesn’t require a shower afterwards. We designed URB-E without pedals to make it compatible with all kinds of professional attire. If the weather takes a turns sour, you can wheel URB-E on the subway or toss it into an Uber or cab. 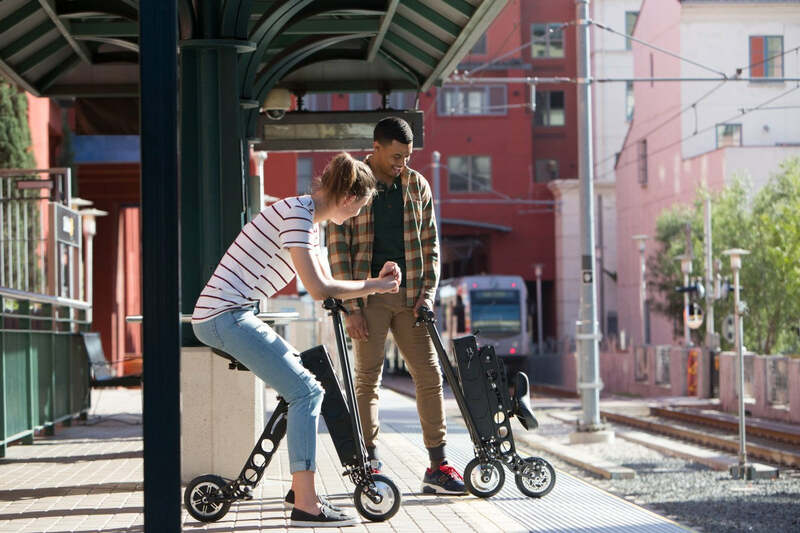 URB-E’s small profile means you won’t take up extra space, even when the subway is crowded. 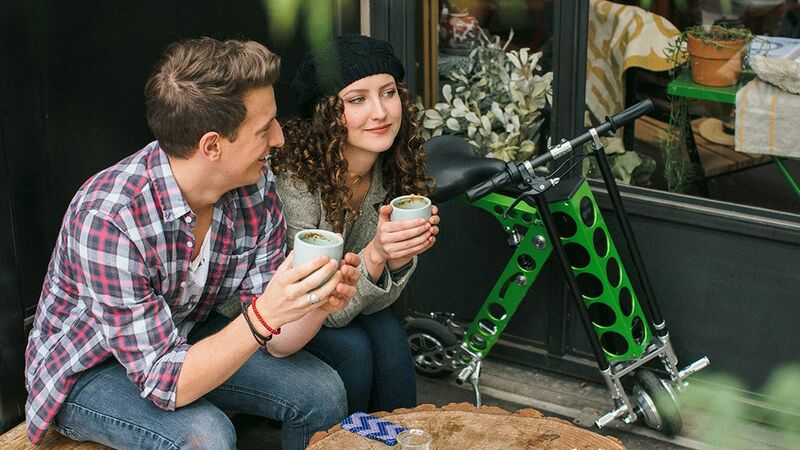 URB-E is ready to ride when you are, whether it's to and from the subway or around the corner for a workday coffee. 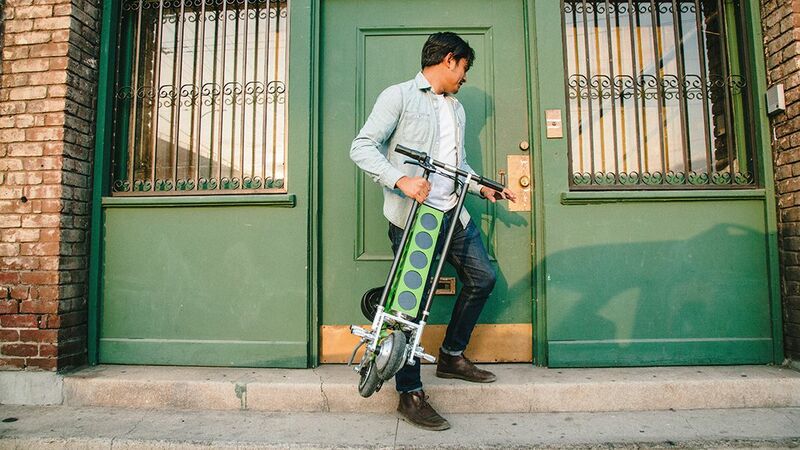 URB-E goes where you go, so parking and locking isn't an issue. Store URB-E under your desk or in the corner of your office where it’s safe and sound until you ride home. Most New Yorkers don’t own a car, and for good reason. We probably don't have to tell you how expensive commuting to Manhattan by car is, but breaking down the numbers is pretty shocking. In midtown Manhattan, the median parking rate is around $533 per month. Over the course of a year, that’s almost $6,400 spent on parking alone. That doesn't even count gas, insurance, and the cost of a car! Taking an Uber or cab to Manhattan from an outer borough can cost $30-$40 one way, which adds up to a cool $400 per week. Ubering to work every day for a year will set you back over $20,000! If driving even crossed your mind as a way to get around NYC, you might want to think again. URB-E has all the convenience of a personal vehicle, including accessories like our detachable basket and trailer that help it fit your unique lifestyle. All the flexibility, at a fraction of the price, especially when you consider our financing options. 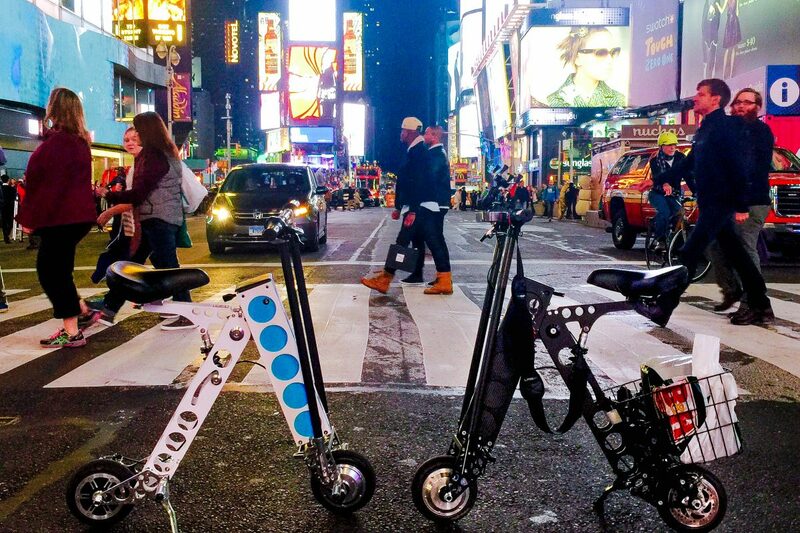 When the weather is nice, URB-E can be ridden outside of the subway, just like a bike. In bad weather, URB-E is the last mile solution that shaves minutes off your commute without too much exposure to the elements. Special financing is available with approved credit. Learn more about financing today! It's convenient, versatile, and incredibly cheap! No doubt about it, URB-E saves time and money in NYC. Questions about URB-E? Want to learn more about our Wells Fargo Financing? Call us at or email support@urban626.com.